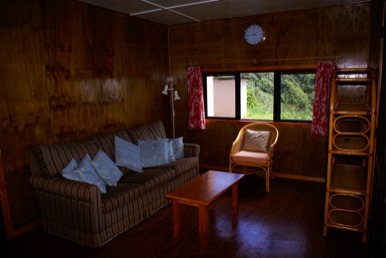 Our relaxed, friendly and fun family atmosphere means that Pommy Ridge guests feel right at home and one of the family. 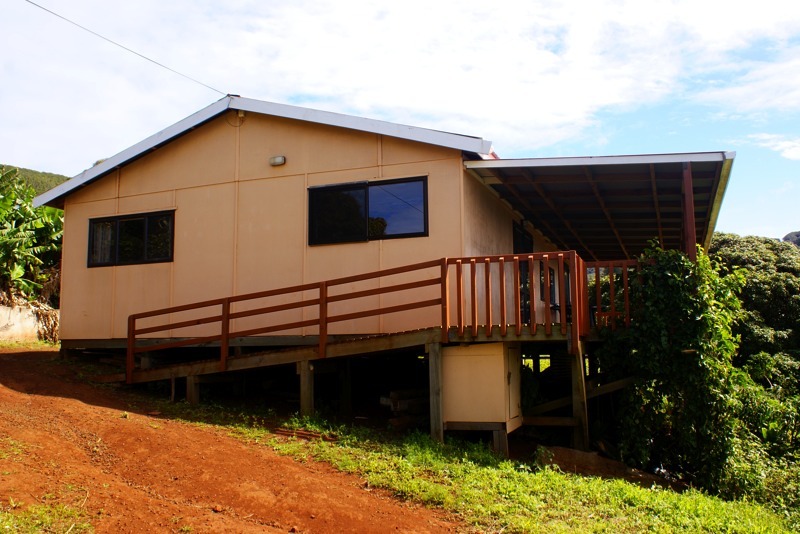 We're not far from Adamstown and you'll have plenty of opportunities to kick back and make the most of everything Pitcairn has to offer. 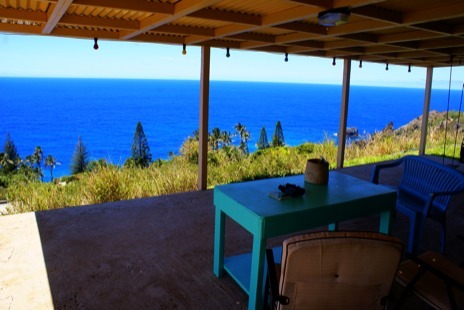 Easy meals, good company and a view to die for will make your Pitcairn Island stay truly memorable. 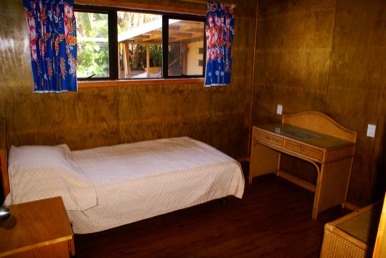 If you have booked a visit to Pitcairn and would like to stay with us, Please Contact Us. 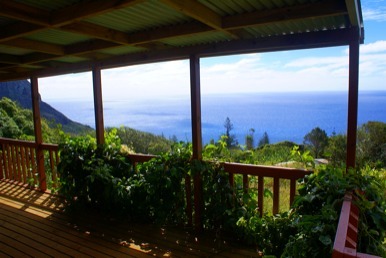 Take in the mighty South Pacific from your own deeply shaded, North facing verandah and feel free to do your own thing entirely. 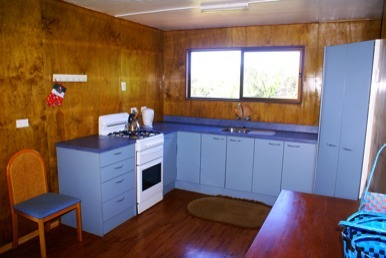 Located not far from Adamstown makes Plas Pitcairn Chalet your own Pitcairn space, with a modern kitchen, bathroom and laundry facilities. Fresh Bread and local produce are available and you can buy your own food from the General Store. 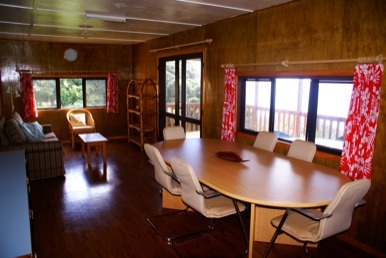 Get in quick to book your stay at Plas Pitcairn Chalet so please Contact Us as soon as possible. 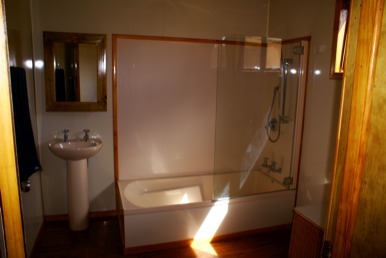 Laundry room with large Automatic Washing Machine. * Additional costs apply. Billed at end of stay.